Instead of talking about, can we try talking from and to mindfulness? From mine to yours, from yours to mine. Embodying it right here and now, as I’m writing these words, and you embodying it wherever you are, as you’re reading them. Even separated by time and space, and connected by a shared curiosity, we can be mindful together. But mindful of what? 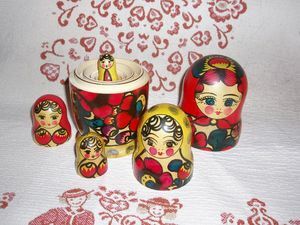 Imagine being inside a set of Russian dolls of decreasing size. 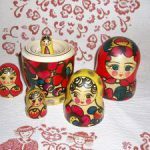 Inside the innermost, smallest one of the nested, hollow matryoshkas there’s a baby that is you. These dolls are not the usual wooden ones; they are made of some kind of semi-translucent bubble material. The baby is sensing the presence of layers upon layers outside its immediate bubble, but can’t see clearly the patterns painted on them until it knocks on the dome above its head. It is that semi-translucent bubble we call “reality” is where we live, most of the time. With proper training in the arts and sciences of mind-fitness, we can become aware of several layers of our reality, concurrently. For example, we will be able to hold in our awareness some of our body sensations, our emotions, our thoughts, all at once. With trained attention, we can add to the mix the broad segments of the geographic and social worlds that we’re embedded in. Why would we want to do that? The more we can listen, the more we can hear. The more we can hear, the wiser and more adequate our response will be to the challenges and opportunities that life presents to us, individually and collectively. To meet critical challenges, as groups, communities and organisations in our VUCA times of increasing Volatility, Uncertainty, Complexity and Ambiguity, we must act from a higher level of individual and collective consciousness. Becoming more mindful as a person is an important first step but it is insufficient if not extended to cultivating shared mindfulness if we are to make a larger, positive impact in the world. In my experience, when all of us in a conversation or collaborative action are practising expanded attention or other mind-fitness disciplines, then a potent inter-subjective field comes into being that is much more than the sum of the individual mind states. The resulting “shared mindfulness” allows us to sense what is happening more accurately, think more clearly, act more coherently, and achieve greater results. How are we going to scale the achievable, shared mindfulness of small groups to organisations, co-intelligent local and regional communities, and wiser social institutions that truly care for the whole and all parts of it? The first thing is to notice what is already moving in that direction, even if it is only a relatively small step. For example, the UK All-Party Parliamentary Group on Wellbeing Economics met earlier this year to discuss “How Government Policy Can Improve Wellbeing: Mindfulness in Health and Education”. We at Future Considerations held a series of “Mindful Leadership” workshops with Joel and Michelle Levey in June, and our colleagues at NixonMcInnes have invited the Levey’s back for a one-day workshop in November where the mind-fitness frontier, shared mindfulness, and their fertile relationship will be explored. How can we co-evolve practices for growing greater mindfulness at increasing scale? Part of the answer is upgrading to “integral mindfulness,” i.e. : taking mindfulness off the meditation cushion and infusing all dimensions of our life with it; not only the life of you and me, but also the life of collective entities, such as organisations, communities, governments, cities, regional innovation ecosystems, etc. For those of you inspired by the possibility to realise a wider range of benefits from mindfulness beyond the individual, join us in the Mindful Together community on Facebook. Or even simpler, why not practise shared mindfulness, right here and now, by entering into a contemplative space, using your favourite meditation technique, and posting your comment from there. What a wonderful invitation and articulation George. May our many dimensional translucency of consciousness every clarify to allow us to live together embodying the full depth and dimension of our true beings… for the benefit of all))) We look forward to our next adventures together in the UK and Spain in the months to come. Thank you for your comment, Joel. Could you unpack the phrase “many dimensional translucency of consciousness” for the sake of business people reading these blog, who may not necessarily understand what you meant by that? 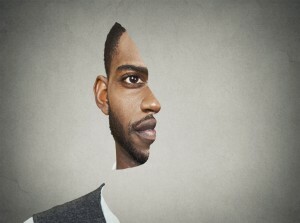 Self-reflective thought was an evolutionary innovation when it first appeared, eons ago. 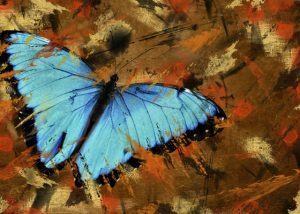 Today, we are at a cusp of similar significance, the showing up of collective self-reflexivity, which is the condition of successful shift from blind to conscious evolution. Shared mindfulness is a practice field for facilitating that shift. Organisations and communities pioneering that practice will reap the benefits of first movers. Liberating the untapped energies of conscious collectives will generate unprecedented results. It may sound grandiose, but in reality, one of the first steps of that practice is as simple as the following quote indicates. In our truly close relationships, we all know the experience that Siegel is talking about. The power of shared mindfulness at its best, which I also call “inter-subjective mindfulness” is in the fact that deep, intentional attunement with self and others at the same time, is possible, even when those others are not relatives and intimate friends, but co-workers, customers or complete strangers.